I’m taking a seminar on African history this semester, and we’re supposed to write a substantial research paper on a topic in which Africa intersects with our own area of research. Inspired by my visit to the USS Constellation a few months ago, I thought I might look into the US Navy’s suppression of the slave trade in the Civil War era, maybe examining how this activity changed between the Buchanan and Lincoln administrations or something along those lines. So here’s a question for you naval history folks out there. What sources would you suggest? I know where to go to find presidential documents, but I want to see what the Navy itself was doing, and if possible get some accounts from the sailors who were confronting the slave trade in person to see how they felt about it. Help a landlubber like me get started. This groundbreaking month-long series will provide compelling evidence that our Founding Fathers not only welcomed LGBT people to helped create this country, but without the contributions made by LGBT people, American history might have turned out quite differently. Based on the information contained in the article, this seems to have little to do with the discipline of LGBT history and more to do with seizing on any possible indication that a given historical figure might have been gay and then running with it as hard and fast as possible. Aside from the failure to properly distinguish between “the rag-tag militia” and the Continental Army, this brief passage contains one whopper of an assumption. 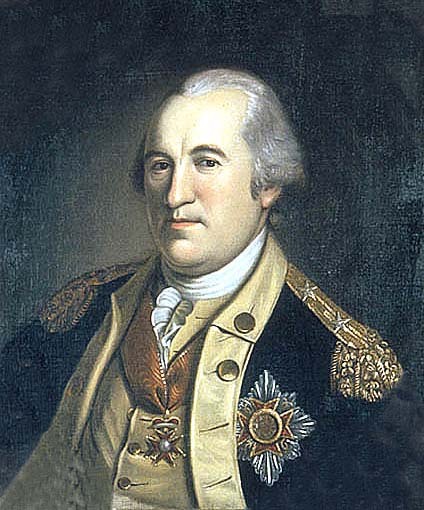 It is by no means certain that Baron von Steuben was gay. In fact, the case rests mostly on rumors which circulated in Europe before his departure for America. Steuben was accused of having inappropriate relations with young boys during his service at the court of Prince Josef Friedrich Wilhelm of Hohenzollern-Hechingen. One of Steuben’s biographers notes that the rumors “were never proven, but they were no less damning than if they had been.” They squelched a hoped-for military appointment by the Margrave of Baden, leaving Steuben to travel around Europe in search of employment. Eventually he ended up in Paris, where (through the French Minister of War) he met Benjamin Franklin, and the rest is history. We’re also told flatly that Katharine Lee Bates, author of “America the Beautiful,” was a lesbian. Again, this is a case of manufactured certainty. The contested belief that Bates was a lesbian relies on her relationship with Katharine Corman, with whom she lived until the latter’s death from cancer, and to whom she dedicated a book. The exact nature of their relationship is uncertain, but you’d never know it by reading the press release. In a particularly desperate attempt, we’re also told that “it is impossible to refute that [James] Buchanan might have been gay.” No kidding; it’s “impossible to refute” that a great many people were gay, in the same way that’s impossible to refute that James Buchanan was really a walrus dressed in a rubber human costume. But history doesn’t operate on the basis of whether or not something is “impossible to refute.” It operates on the basis of whether or not something is probable in light of the evidence available to us. In the case of Buchanan, what we’re dealing with once again is rumor and innuendo, based on his very close relationship with William Rufus King and contradicted by references to women in his letters. Finally and inevitably, the press release trots out the ever-trusty gay Abraham Lincoln question, ignoring or unaware of the ways that proponents of the gay Lincoln meme have misinterpreted masculine relations of the nineteenth century. Let me stress again that what irks me is not the argument that any or all of these historical figures may have been gay; perhaps some of them were, though in the case of all except for Bates, I very much doubt it. What bothers me is the substitution of certainty where it doesn’t exist. Debate has been transformed into fact, and many readers will be misled and exposed to bad history as a result. I doubt either party would appreciate the comparison, but this whole article reminds me of nothing so much as the work of Christian Nationalist pseudohistorians. In both cases, what we have is not really an attempt to understand a phenomenon (whether religion or sexuality) within its proper historical context, but rather an attempt to jump on any pretext—no matter how unsubstantiated or unlikely—which allows you to claim a prominent American figure as a member of a particular group. It has about as much to do with the discipline of LGBT history as the notion that Washington knelt in the snow at Valley Forge has to do with the history of American religion.